My home is aching for some Valentine’s decor. Actually, I am aching to make my home more Valentine-y. 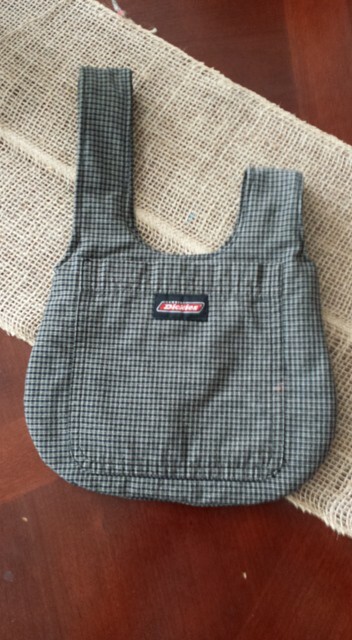 It gives me a little outlet to bring out the girly-girl in me. 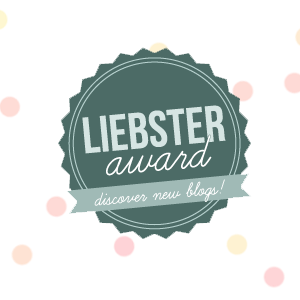 Would you believe it? This project cost me zero doll hairs! It could be a blue light special up in here for you if you opt to make your own wreath form! 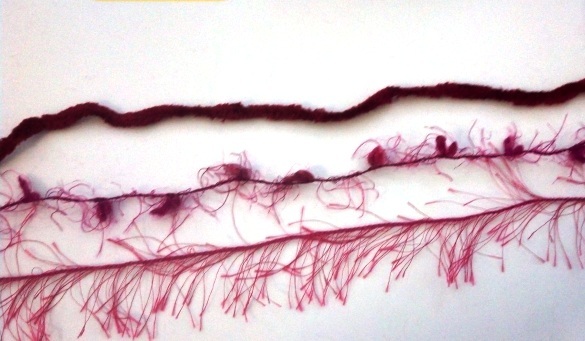 Even more satisfying for me is that I used up a lot of little bits of yarn. I have too many little UFOs (Un-Finished Objects) and tiny balls of yarn. 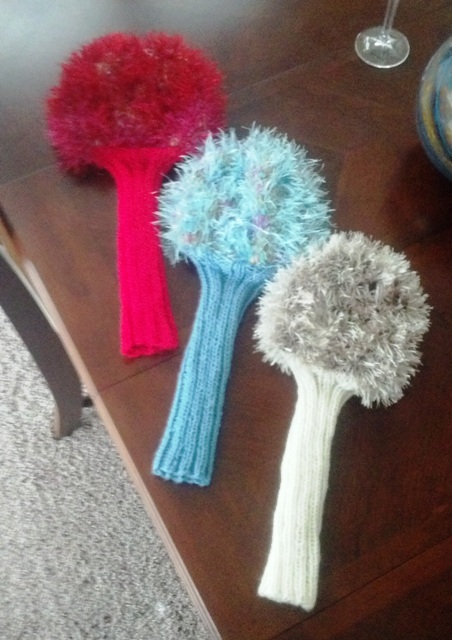 UFOs frogged and tiny balls of yarn miraculously disappeared thanks to this project! And to be even more smug about the whole thing… I made it in a couple of hours. Boo yah! I first discovered how to make the base from this youtube video from Hectanooga1 when I made this Halloween yarn wreath. The possibilities in making these wreaths are wonderfully endless! Smaller plate that will fit inside the paper plates. This is just used as a template. Yarn! Various shades and weights of reds, pinks and lavenders. Let’s bust those scraps! Various sizes of crochet hooks. 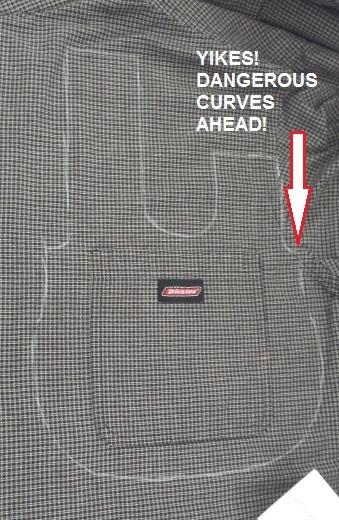 I used sizes F, G, I, J, K and N. Namely because those are the ones I could find. 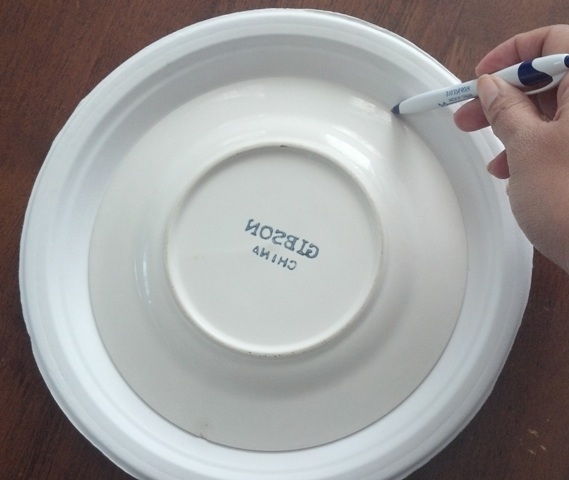 Taking the two paper plates and the smaller plate, trace a circle on the inside of the plates. 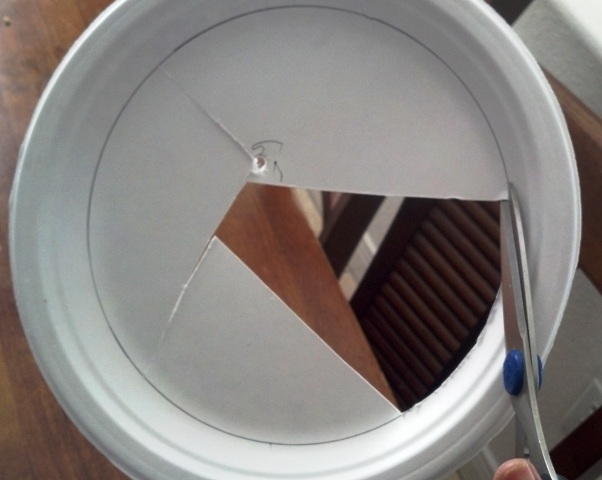 Cut the inside circles out of the paper plates. 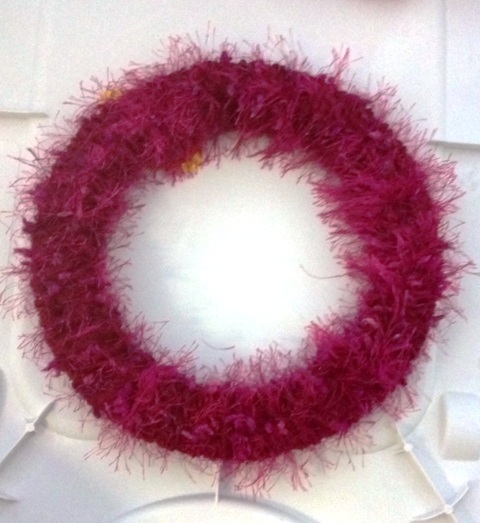 Use foam plates if you’d like your wreath to be able to stay outside. 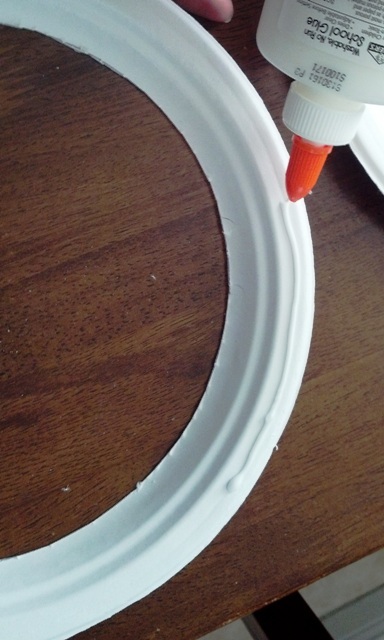 Run a bead of glue onto the outer perimeter of one of the plates and sandwich the right sides together. Let the glue dry. 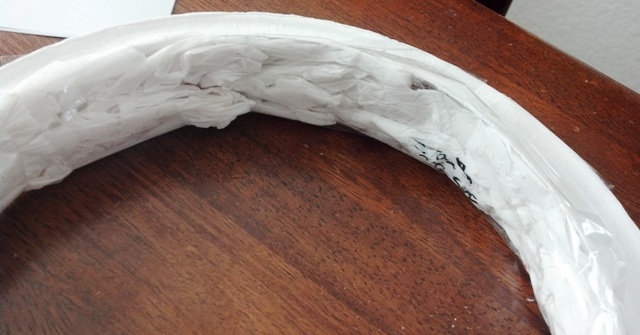 Stuff the cavity of the plates with plastic grocery bags or newspaper and tape the stuffing in place. Your wreath for is ready to decorate! To decorate the wreath, tie the yarn to the base and start wrapping. There is no magical science (I like that oxymoron “magical science”) to it, just go around and around making sure there are no gaps and you can’t see the plates underneath. 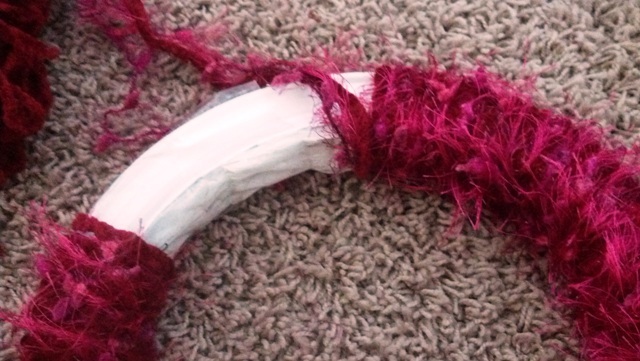 I used three separate strands for my project. 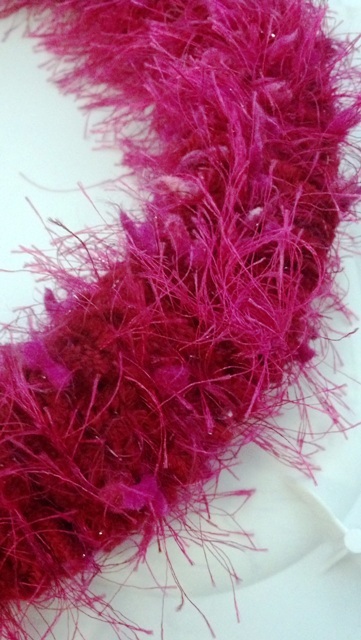 I used a deep red velvety chenille, a hot pink fun fur, and another similar fun fur with other yarny bits coming out of it. How sumptuous does that look?! Crochet a bunch of hearts using different size needles and yarns. The pattern I used for my crocheted wire heart earrings is the same ones I used for these hearts. You can crochet two strands together using a larger hook and you’ll get different sized hearts. When you complete a few, place it on the wreath and play with the placement until it pleases you. You can be quite minimalist or go with the “more is more” approach. Add buttons, pearls, and shiny baubles to your heart’s content. Tie a length of ribbon onto your wreath and hang. 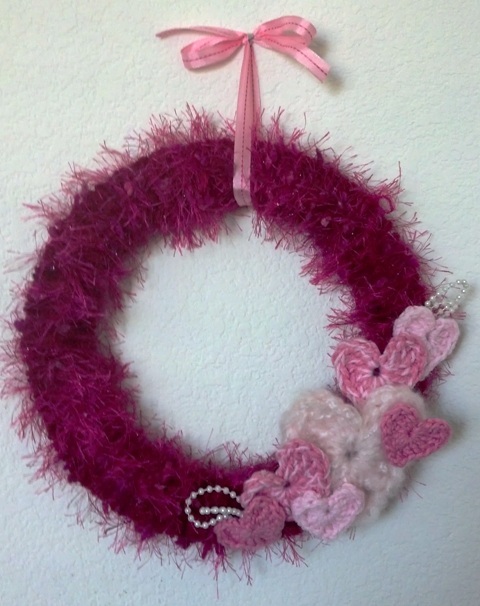 Valentine yarn wreath realized! Enjoy! 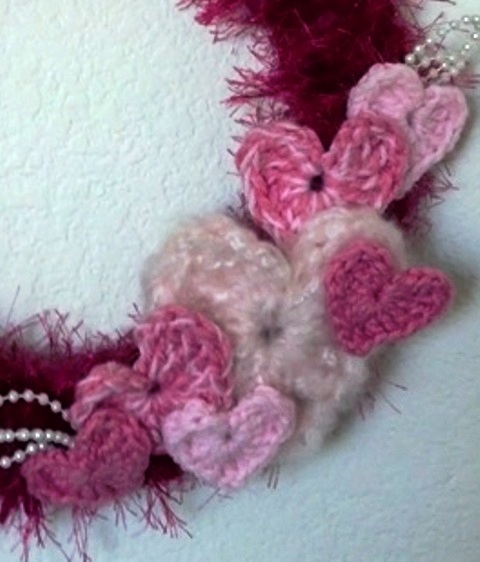 This entry was posted in Crochet and tagged crochet, heart, Valentine, wreath, yarn. Bookmark the permalink.